If you are looking for professional copywriting services, DLM Marketing should be at the top of your list. 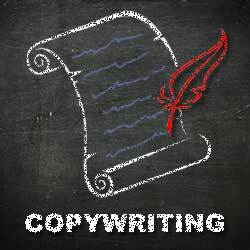 Copywriting is written content suitable for online media and print materials. Copy is a written article mainly used for the purpose of advertising or marketing. This style of written material is regularly used to influence a person or group, as well as to increase brand awareness. The vital objective of copy is to get the reader to perform a certain action. The goal for a copywriter is to create significant content that the reader finds valuable and makes them want to take action. Good content is also a critical part of SEO. Our professional copywriters have a comprehensive understanding of the latest SEO techniques and will create content to incorporate the right balance of targeted keywords. The professional copywriting services that DLM Marketing offer is charged at a word block rate. Our rates start from $125.00 per 500 word block. There are many copywriters that will charge you an hourly rate but we prefer to give you a fixed price. If you are being charged an hourly rate, how long a will that job take? There are so many variables that have an influence on the time required to complete any project. For example: the quality and quantity of your input, whether research is needed, and whether you know the keywords you want your content optimised for. If you are building a new website or have a project that requires bulk content to be written, please don’t hesitate to contact us for a competitive, detailed quote. What website is it for? Provide URL of existing site or explain what new site is about. Approximately how long do you want the pages to be? Please note that each page should contain a minimum of 300 words. Do you expect DLM Marketing to do any research? Who is your target market (demographics) and where are they located (geographically)? Do you know the SEO keywords you want to target? Alternately, please give us a call and we will be able to step you through the process.